“Hugo van Harlo” is the living history persona of me, Will Phillips. I’m an American history enthusiast researching the late sixteenth century Low Countries – primarily in the context of the worldwide Society for Creative Anachronism. This site catalogs my projects, commissions, and classes as they relate to my portrayal of a c. 1580 member of the Dutch gentry. The SCA – and other living history events – not only affords me a ready outlet for my research into history, but also creates an opportunity to explore those interests with like-minded individuals. In this way, living history becomes an exercise in historical ethnography. Most of that occurs around the Kansas City, MO and the broader Midwestern United States, where I live. 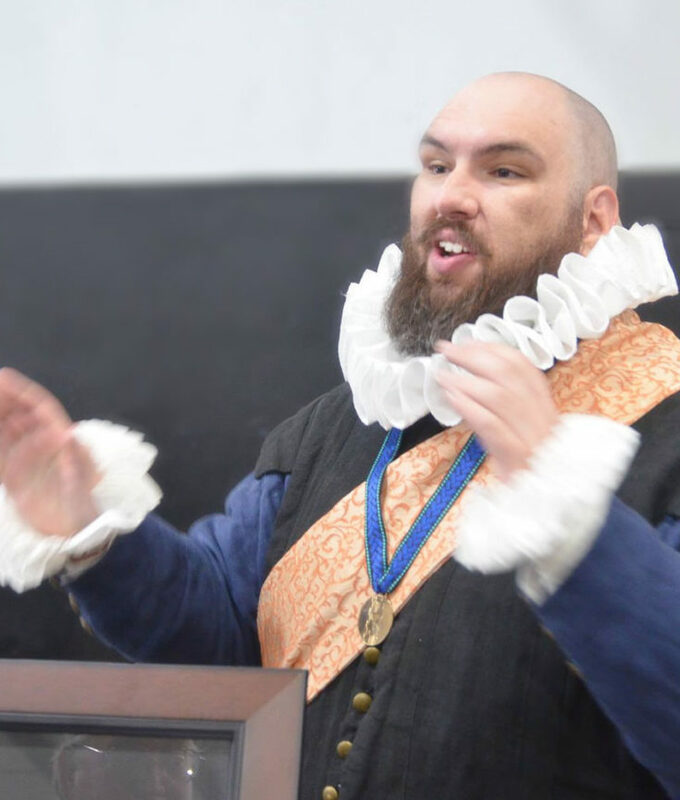 In the terms of the Society for Creative Anachronism, that would be the Barony of Forgotten Sea (Kansas City), which is itself part of the larger, regional Kingdom of Calontir, which comprises Kansas Missouri, Iowa, Nebraska, and northwest Arkansas. The Dutch Revolt and Early Dutch Republic: A motley collection of infighting provinces managed to win their independence against the world’s superpower – how? That’s a story I’m both fascinated by and interested in telling. I keep specifically focused on the years between the 1576 Pacification of Ghent and the 1591 withdrawal of Spanish troops to France, but have a broader interest in that revolutionary generation which birthed the Dutch Republic. 1550-1650 Century Print Culture & Cartography: Printed media, the maturation of map-making methods, and the expanding knowledge of the world had a radical, transformative impact on European society during that hundred year span. It is only pure serendipity that much of the “golden age of cartography” took place in the Low Countries. Early Modern Gentry – Particularly the Eastern Netherlands and Lower Rhine: In honesty, I must admit the influence of Downton Abbey and Poldark on my late sixteenth century context! But aside from PBS historical dramas, there’s also the curiosity driving a neglected aspect of Dutch studies of this period: the power centers of the eastern provinces were not city merchants, but the traditional landed gentry. Who were these people?